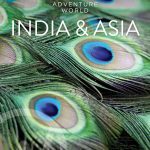 A plethora of new responsible wildlife packages have bolstered Adventure World’s newly released 2018/19 India and Asia portfolio. As a longstanding partner with World Animal Protection [WAP], Adventure World strictly adheres to a policy of no elephant rides in any of its programs and in partnership with The TreadRight Foundation and Wildlife SOS, Adventure World is supporting the development of an Elephant Conservation and Care Centre in Mathura, Uttar, India. NEW for 2018 is a dedicated Wildlife of Sri Lanka program where clients explore the lesser known Wilpattu National Park, home to a vast number of Sri Lankan leopards. Along with big cats there is the chance to see elephants, sloth bears and an array of other wildlife and flora on a thrilling Jeep safari. The program also includes an infrared night safari in Yala National Park and a day at the UNESCO World Heritage Site of Horton Plains. Birding enthusiasts will be drawn to the new Jungles, Wildlife & Temples itinerary in Cambodia which features a lodge stay in the isolated village of Tmatboey, famous for the conservation of the giant ibis, Cambodia’s national bird. Clients can enjoy a series of wildlife and birding treks with local naturalists. 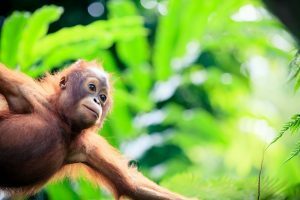 In Indonesia, the new Kaliman tan Orang-utans by Houseboat program allows travellers to explore the wonders of Tanjung, putting by houseboat, cruising languid waters, surrounded by jungle and encounter wild orang-utans.